This 2 year old home is better then new! 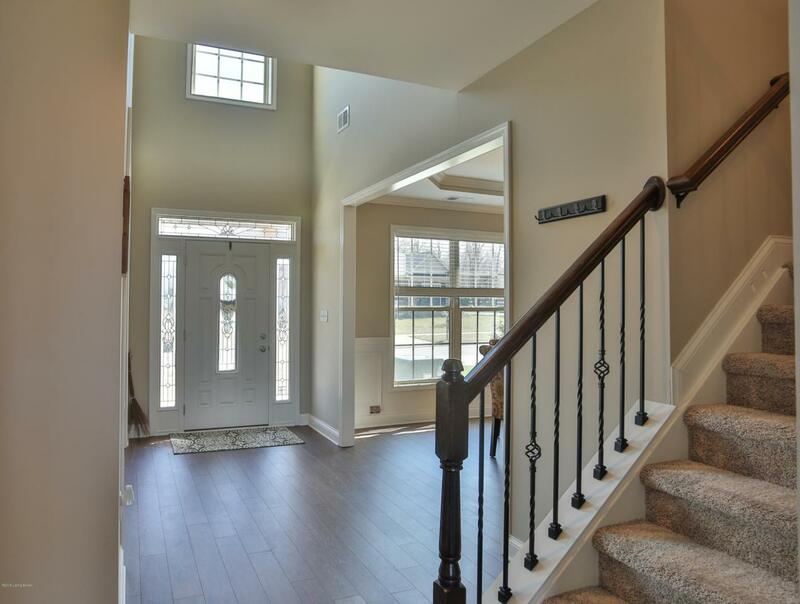 The Hartford II floor plan is one of the largest in the neighborhood with a first floor master. 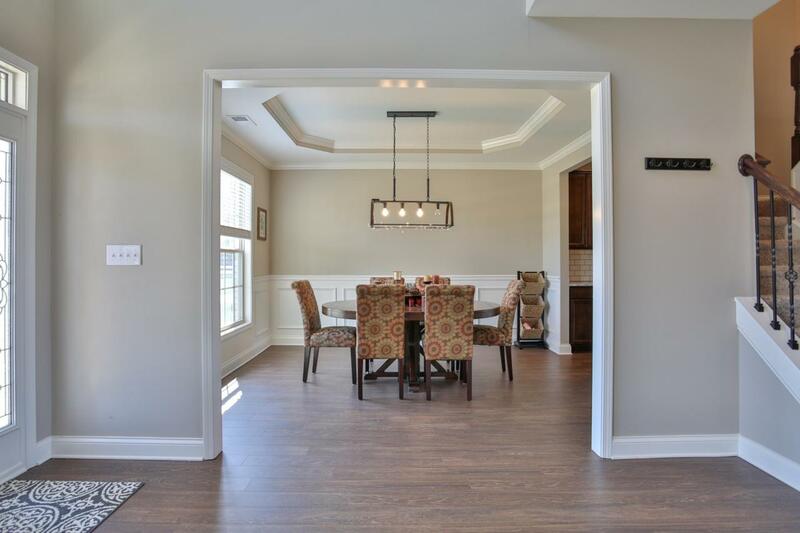 Step onto dark floors with formal living and dining rooms. 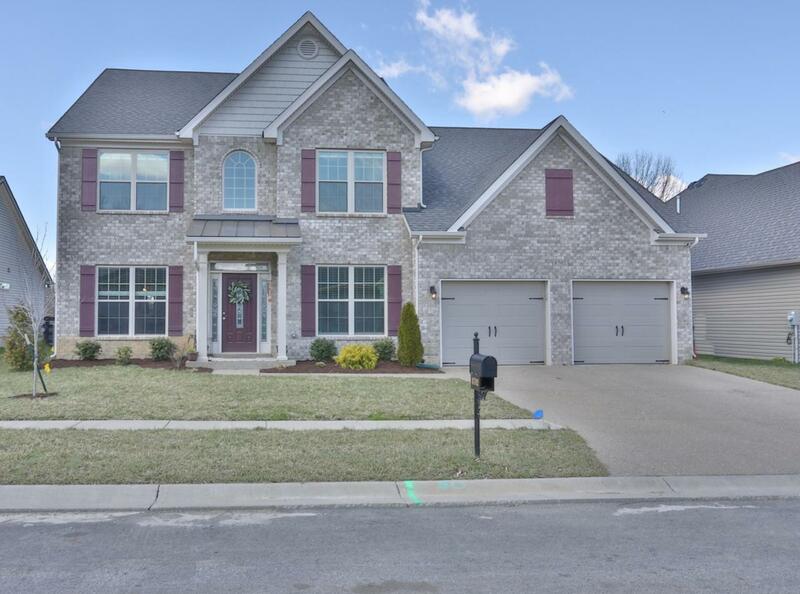 Enjoy the bright 2 story family room with stone gas fireplace flanked by built in bookshelves and lots of windows. 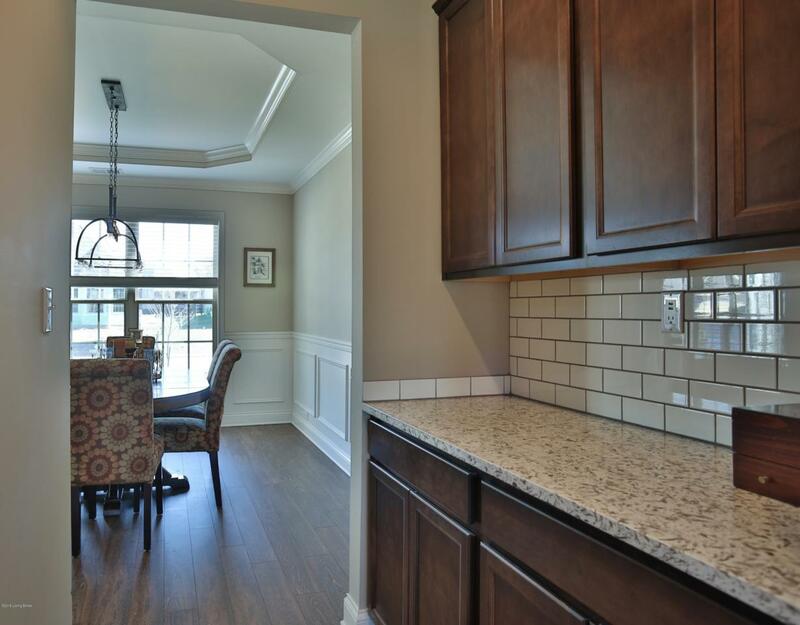 This area opens to the beautiful kitchen with a large island with quartz counters that can seat 4 comfortably. Newer stainless appliances that will remain and a built-in butlers pantry completes this area. Stay organized with the built-in bench with quick access to the garage and laundry room. The luxurious first floor master suite includes a double tray ceiling, double vanity with quartz counters, separate water closet, soaking tub and glass tile shower. A large walk-in closetcompletes this floor. Upstairs are 3 good sized bedrooms that share a bathroom. A huge bonus room is located here -perfect to use as another bedroom,playroom, workout room or office. Enjoy the summer out on the back patio overlooking an area where no homes are built. Easy access to expressways make this a must see.